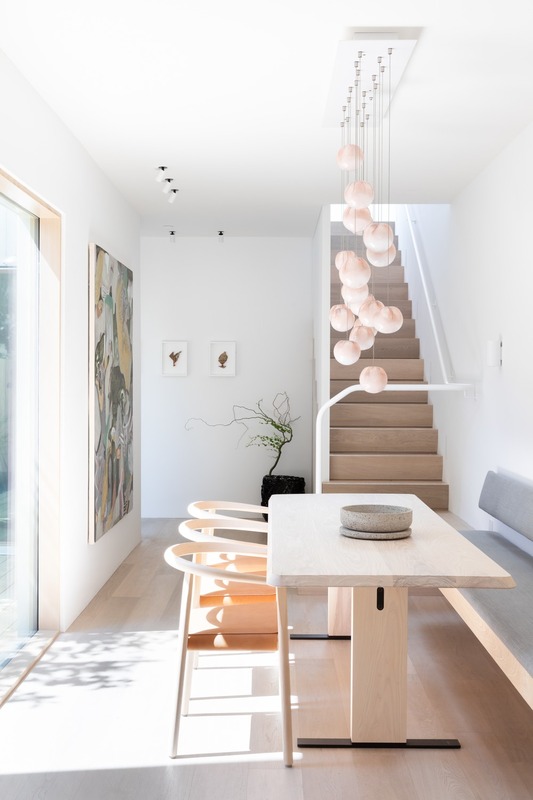 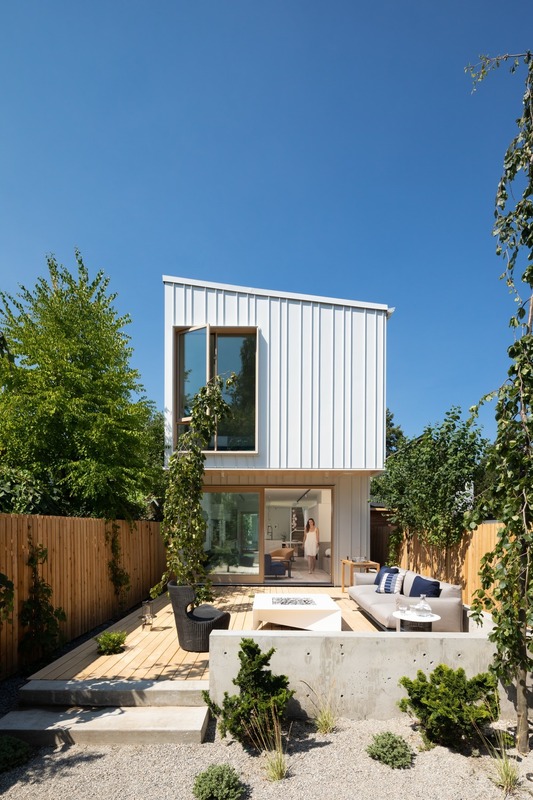 Vancouver-based Falken Reynolds Interiors has implemented innovative design strategies to create space and serenity in a house that sits on a 6m x 60m plot, which is typically the size of a back lane. 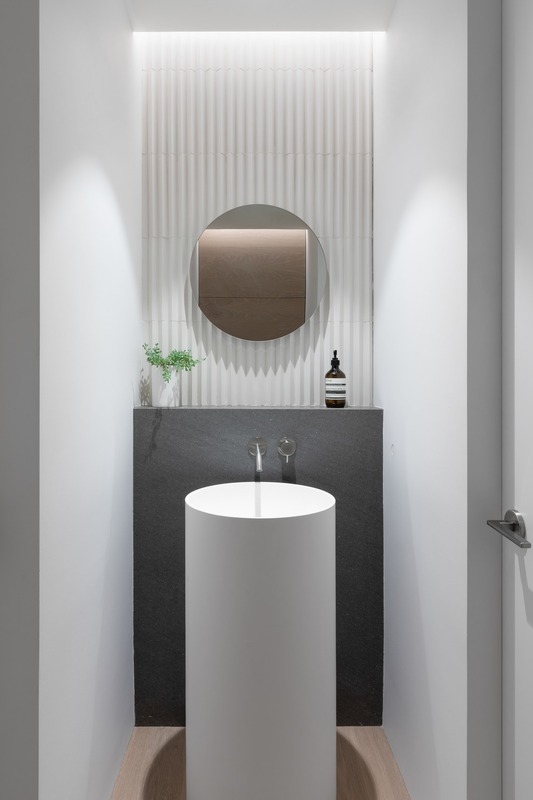 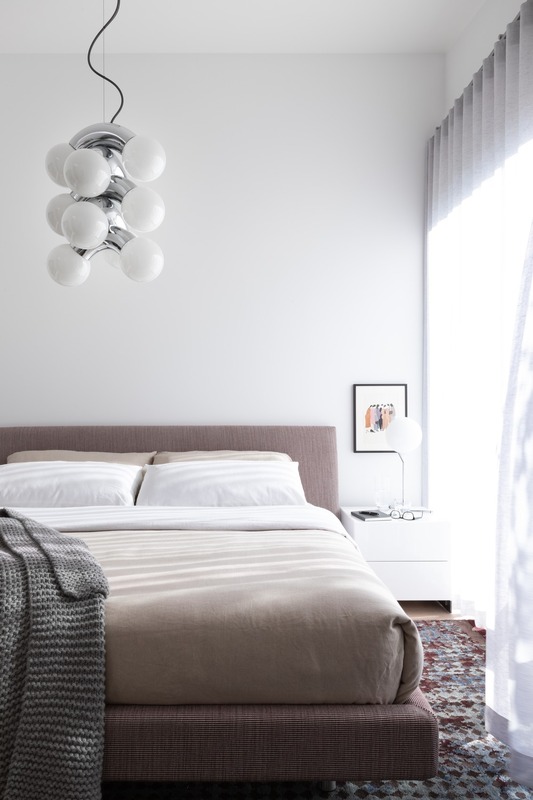 “The unique site of the 204 square-metre Saint George Street house inspired us to get creative with our design process and visually create more space,” says Chad Falkenberg, principal of Falken Reynolds. 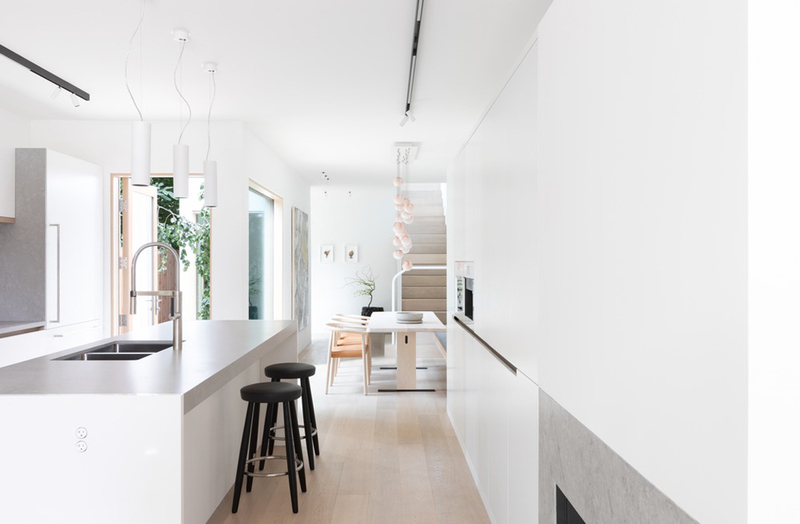 The home’s minimal exterior is accentuated by standing-seam metal cladding and, midway through the house, a courtyard brings light to its centre. 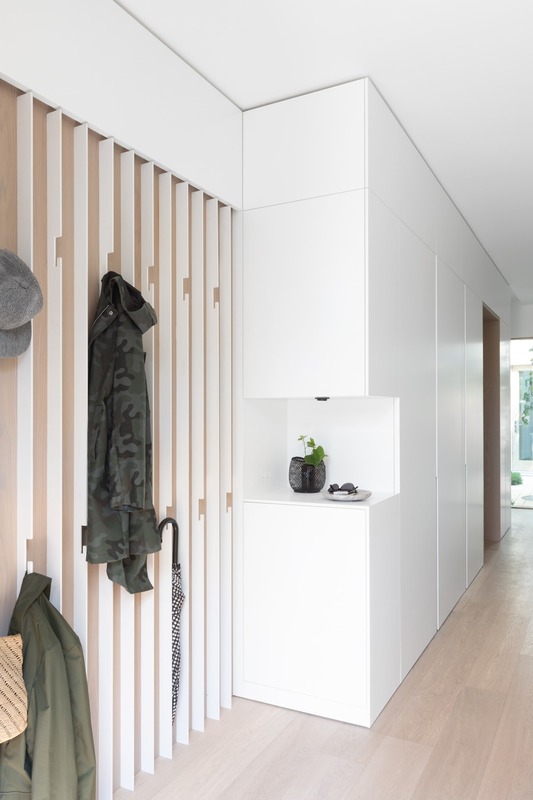 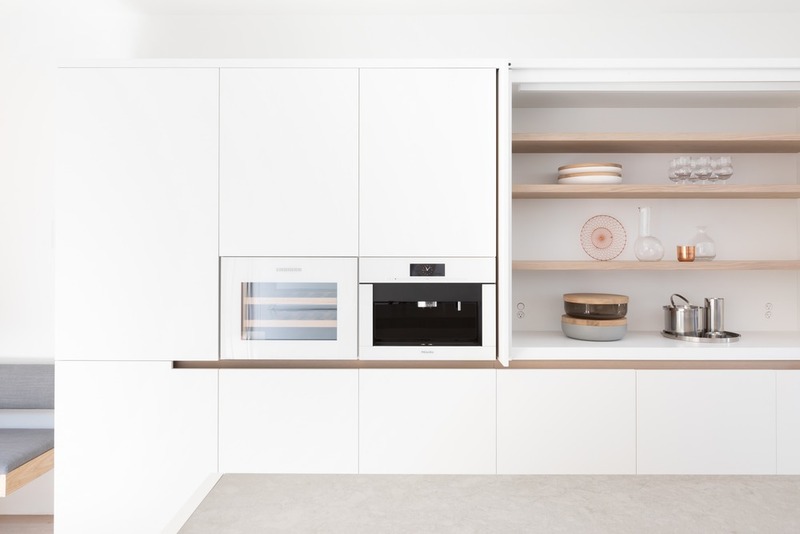 The interior corridors maximise functionality with concealed storage. 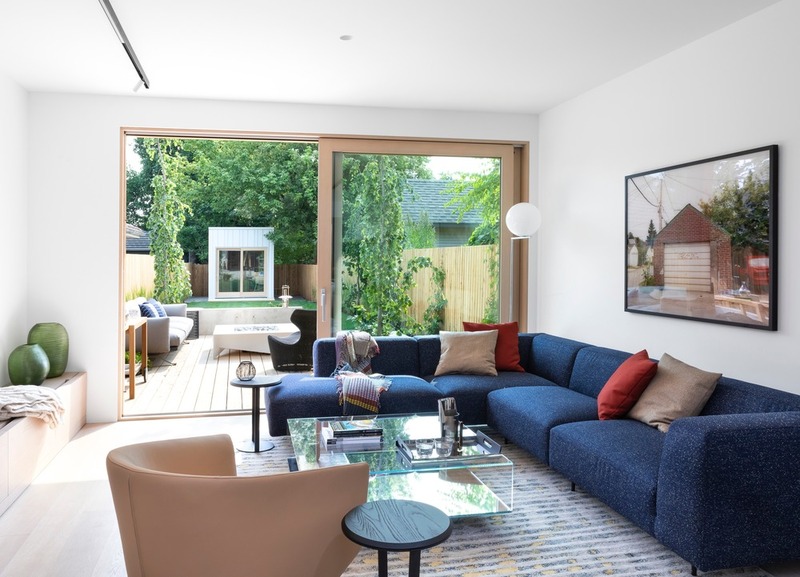 To meet the needs of a modern, active family, the kitchen is fitted with a large island, the entry hall conceals mudroom storage, and a kids’ zone is acoustically removed from the main living areas. 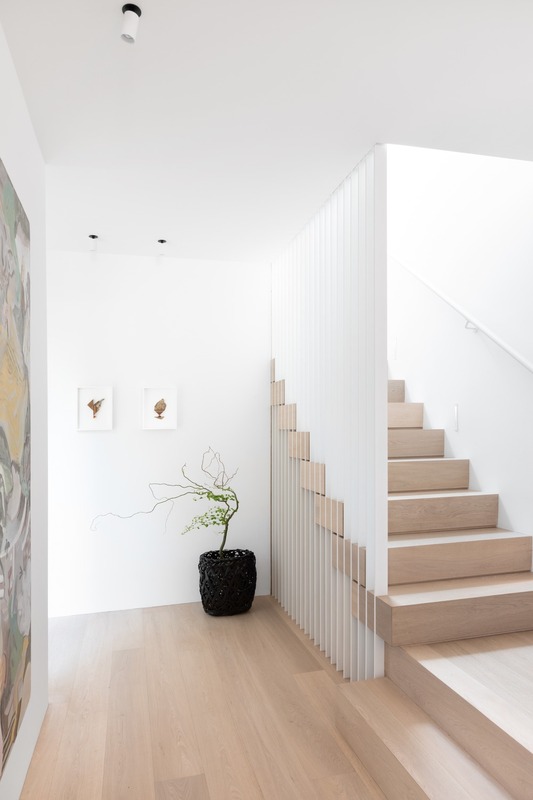 Inside and out, a fresh palette of white and Nordic toned woods keeps the spaces feeling open.